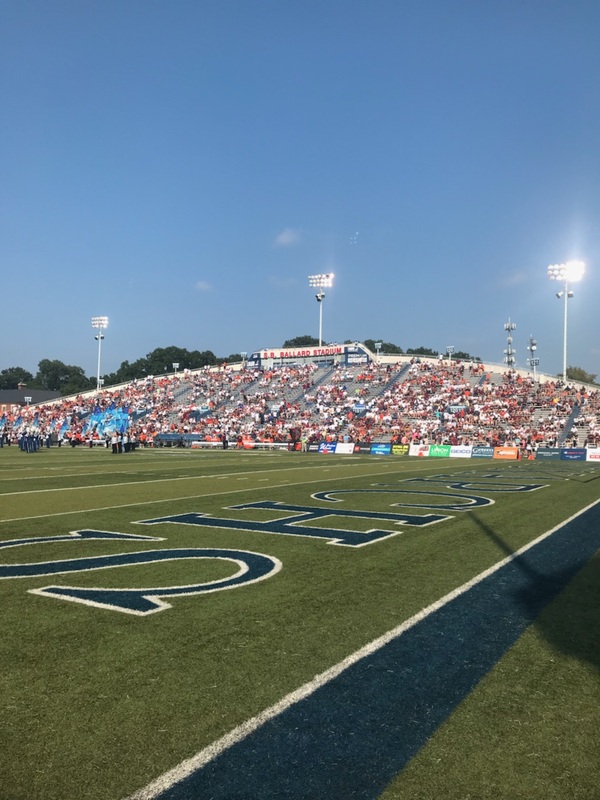 Do you think ODU can recover from its 1-4 start and earn a bowl bid? Imagine entering the season with high expectations, starting with a 0-3 record, then pulling off the biggest win in Old Dominion University's school history. Following their victory over Virginia Tech in one of college football’s greatest upsets ever, Old Dominion University suffered another disappointing loss to East Carolina University the very next week. It’s certainly a lot to digest in only four weeks for ODU Head Coach Bobby Wilder. Appearing on ESPN Radio 94.1 Monday, Wilder talked about his team’s first game since pulling off an improbable victory over the Virginia Tech Hokies. And keeping with the theme of the young season, things did not go as planned over the weekend. In the end, the Monarchs didn’t have enough to outlast the Pirates, falling by a score of 37-35. Just a week after the most memorable win in school history, reality is starting to sink in for the 1-4 squad. The ups and downs of a football season are unprecedented. But even as his team sits at the bottom of the C-USA East standings, the coach couldn’t help but reflect on the whirlwind week that was in Norfolk, starting with the victory over the Hokies. ODU’s 49-35 win over the Virginia Tech made them the talk of the college football world. And even if the euphoria only lasted for a week, it was worth it for Wilder and his crew of underdogs. ODU will look to bounce back this Saturday against a tough Florida Atlantic University squad in Florida. What do you think about ODU’s crazy start to the season? Can they make it to a bowl game for the second time in three years? Tell us in the comments below! Ever wondered which NFL stars hail from Virginia? Read about them here.